You’ve heard the saying, you have to crawl before you can walk. Someone forgot to tell Ellie Farmer, who became an accomplished rock climber, before she could stand on her own two feet. 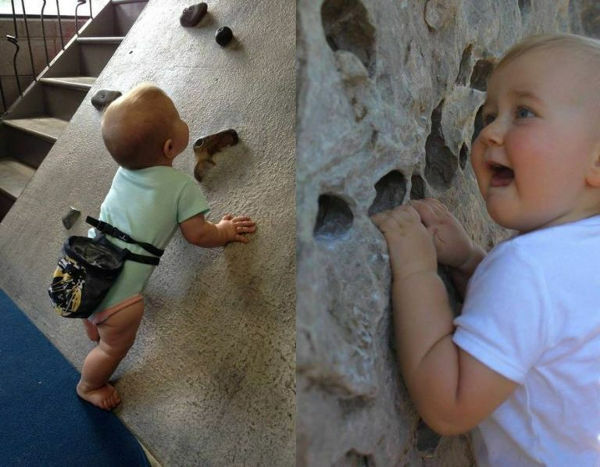 In fact, 20-month-old Ellie was actually rock climbing before she was born – her mother Rachael Farmer continued to indulge in her passion for rock climbing up until three days before she gave birth to Ellie. 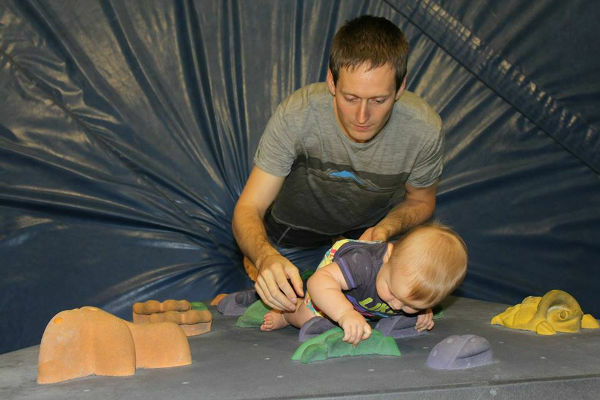 Both Rachael and Ellie’s dad Zak are competitive climbers, so it seems inevitable that little Ellie would be a climbing prodigy. 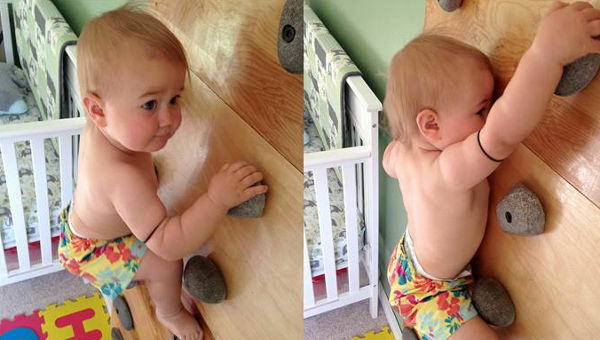 Rachael and Zak built a rock wall in Ellie’s nursery when she was just two months old, and when she was eight months old she began using it for balance as she tried to find her feet. She soon learned to climb the wall, with her parents’ help. “It’s physically impossible to get her away from the gym! She loves to just get on the wall and climb,” Rachael told TODAY. Her mum and dad try to stay as hands-off as possible while Ellie is climbing. If she’s around 30 centimetres off the ground they will spot her, otherwise they give her the space to learn on her own. Ellie is still too young to wear a harness, so she stays low to the ground. Her mum says she does fall frequently, but hasn’t been injured, as she has a crash pad below. If she climbs a little higher, she has a spotter, and her mum and dad standing by to catch her if she falls. Her mum says Ellie has become quite strong from rock climbing, “I think it’s been a full progression for her. Kids are naturally strong. If you let them work their way into a sport, they build it quickly,” Rachael says. Ellie shows no signs of slowing down, and will no doubt scale even greater heights when she turns two and is able to use a harness. If you just love talented youngsters, check out the very impressive skills of these toddlers.